Styled with billy skirt . 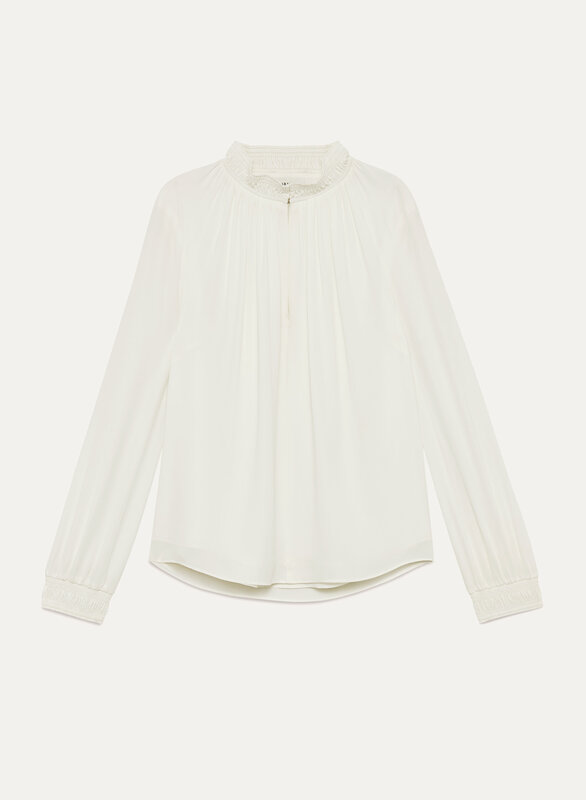 This high-necked blouse is defined by vintage-inspired, feminine details. It has a softly smocked high neckline and cuffs and soft volume at the body. Hi.I have only had the opportunity to wear it once. 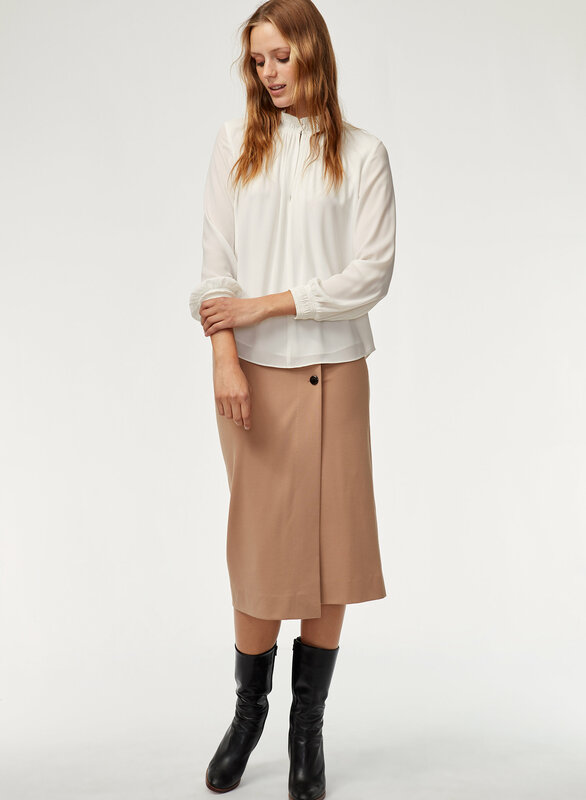 I like the blouse but i find that the collar doesn't sit flat. other than that, so far so good! Beautiful Flowy and romantic top! The blouse has a Victorian style to it where there a button right at the top of the blouse. However, the cut is too revealing and you have to wear a cami under it. Every small movement and you will see your bra spilling out. Not a flattering top and this will be returned.